Caption slip reads: "Photographer: Miller. Date: 1956-05-03. Reporter: Bernstein. Assignment: Examiner man retires. 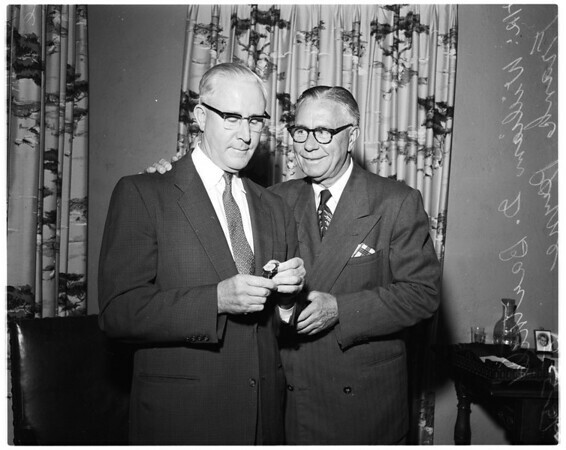 37-38: l to r: William G. Bartheld credit mgr., L.A. Examiner and Frank Payne".